بني فندق فندق بيير 21 أبارتمنت في 1982، وهو يعتبر ميزة مُضافة للمدينة و خيار ذكي للمسافرين. يمكن من هنا للضيوف الاستمتاع بسهولة الوصول إلى كل ما تقدمه هذه المدينة النابضة بالحياة. يشكل هذا الفندق ملاذاَ مريحاً للاسترخاء ويمنح زواره فرصة للاستجمام والتجدد، وهو يقع على بعد خطوات من المعالم السياحية الكثيرة للمدينة. إن الخدمات الممتازة وحسن الضيافة العالي في فندق بيير 21 أبارتمنت تجعل إقامتك تجربة لا تنسى. يقدم الفندق فرصة للاستمتاع بشريحة واسعة من الخدمات بما فيها: واي فاي مجاني في جميع الغرف, متجر, خدمة التنظيف يوميًا, مدفأة, خدمة غسيل ذاتية . في الفندق غرف نوم يتجاوز عددها 47، كلها مجهزة بعناية وجمال وبعضها مزود بـ تلفزيون بشاشة مسطحة, اتصال لاسلكي بالإنترنت, اتصال لاسلكي بشبكة الإنترنت (مجاني), غرف لغير المدخنين, مكيف هواء. إن حوض استحمام ساخن, مركز للياقة البدنية, مسار جولف - ضمن 3 كم, حمام سباحة خارجي, حمام سباحة داخلي هو المكان الأمثل في الفندق للاسترخاء وتفريغ طاقتك بعد نهار طويل. يشكل فندق بيير 21 أبارتمنت بخدماته الراقية وموقعه الممتاز، قاعدة مثالية للاستمتاع بإقامتك في المدينة. يُرجى ملاحظة أن مكتب الاستقبال مفتوح من الساعة 07:00 AM إلى الساعة 09:00 PM. يرجى إخطار الفندق بموعد تسجيل الوصول بالتقريب إذا كان من المقرر وصولك في وقتٍ آخر بخلاف الأوقات المذكورة سالفًا. Amazing stay with a really nice welcoming host. The Location is amazing as well. 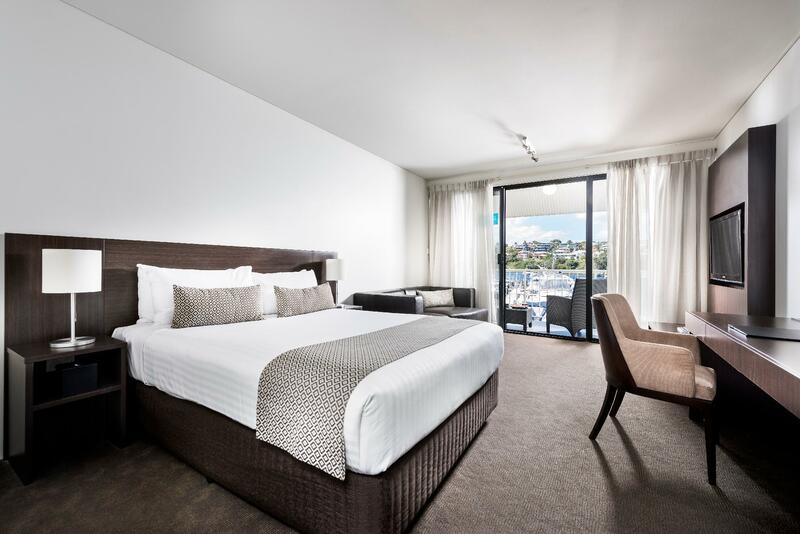 Stay beside the Swan River with a nice view is very enjoyable . Pretty nice view , clean and safe. Overall is a nice place to rest and relax even though with family or friend. Really enjoy the view of the marina in the evening and when sunrise. You will not be forgetful if you stay at Pier 21 Apartment, TRUST me you won't regret. they gave me apartment facing harbour as requested. they write a card with notes and with your name welcoming you to stay there. very friendly and nice staff. everything was great. sadly i only stayed for one night..
We booked an Exec. Studio Apt with view of harbour. We unfortunately only checked in the night n checked out early next morning so did not stay long in our room to enjoy the view. This is a nice little accommodation in a nice picturesque part of the town. Not too far to get to anywhere really if you have a car. Rooms are a little on the small side . But it makes up for it with an amazing view of the Pier. My family was given a unit at level 1 and with people walking along the wharf ,we dont feel very comfortable. It will be better to request for higher units. Unit is clean and food is nice. It will be better if washer and dryer is in the unit. Beautiful sunset view of the pier from the room.. great toiletries and amenities. Free movies and comfortable stay. Would prefer nearer location to fremantle harbour but this was a peaceful location. Only qualm was Room service was not so thorough as toilet was not that clean on second day. While we are on our way from Margaret River, hotel manager called to inform us of hot water supply for the entire north fermantle area. We were given option to relocate to another hotel and arrangement was made for us before we arrive into fermantle. We enjoyed our stay with them before the road trip up to Margaret River. A hotel with excellent service. This is an awesome apartment hotel. 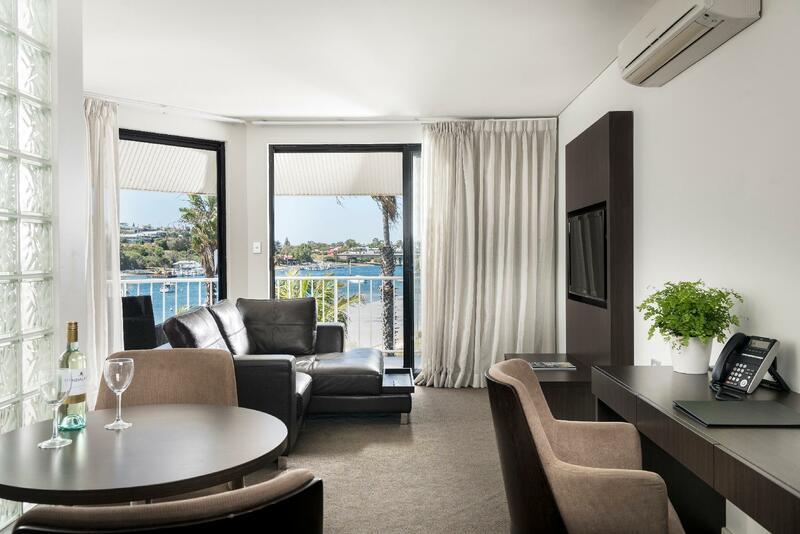 We love the accommodation with a fantastic view of the Swan river. Thanks for the great arrangement. The breakfast was delicious. Every Staff in this hotel are honest, helpful & friendly. The surrounding is so relaxing & quiet. Great night sleep daily. Thumbs up! 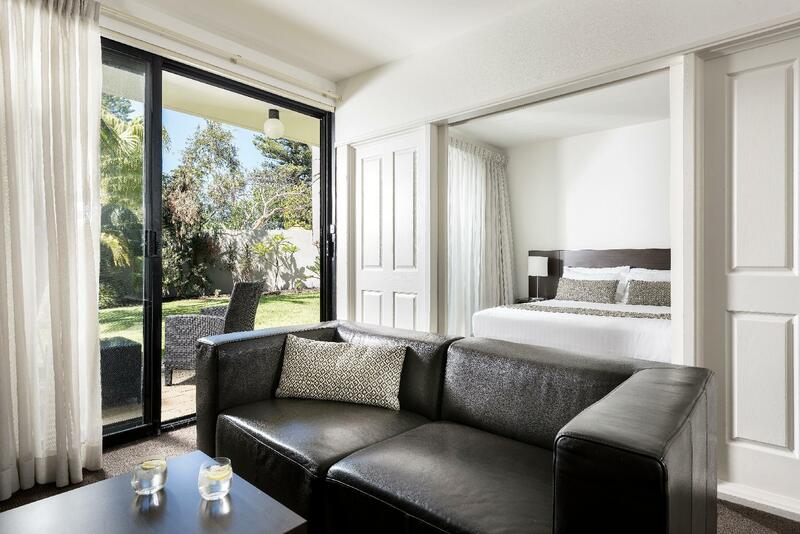 We will definitely go back to this apartment hotel again on our next trip to Fremantle Perth. love this place, the view is stunning from the balcony! having all the kitchen equipment, easy to prepare food for kids. my kids love there so much. and the receptionist told us that we are allowed to check out at 11am. how good my kids doesnt feel like to leave there and watching the movie at the lounge. the only thing that may need to improve is the shower, it's a bit hard to bath for my 19months kid. overall, i will be backed if i planned to stay at frementle. Read all to get a rounded picture. I'm not sure if I would pay the full night's rate. Plus if you what a higher speed of internet, you need to pay extra. Which really for this type of establishment is not contemporary. While clean, the carpet in my room could do with a change. And, the car park entrance has a tight turn for a large vehicle and, when full, the car park needs just that bit extra of manoeuvring. That said, the place is a very nice and somewhat secluded for where it is. It has good in-room facilities and a gym. Staff were very friendly and helpful. Best of all, it's continental breakfast has one of the best offerings (at AUD$22.50) I have seen in even more expensive hotel and they still offer a full cooked served for a few dollars more. It is located on a marina and most rooms have a view of the marina and the river. Disappointing overall. The best thing about this place is the view - certainly not the accommodation. The reception staff very helpful. Unfortunately no cafes of restaurants near this location. The breakfast which was included in my package was awful. The omelette was a scrambled mess floating in grease and the kitchen splash back and preparation didn't look clean either. The photos on the web site look lovely but in reality this is still an 80's s motel style hotel accommodation. In addition the rooms are dated and not very clean. I was changed to another room which was marginally better. The bathroom was tiles were moldy in places and an attempt to modernize it with the addition of a rain shower and square basin didn't really do it. Still the old bath and crumbly doors. Badly in need of a facelift. Very disappointing. Convenient, quiet. Had problems with internet which were not resolved, also problems with tv. Some cutlery dirty, no spatula. Apart from this, great location, adequate if tight parking, small indoor and outdoor pools. 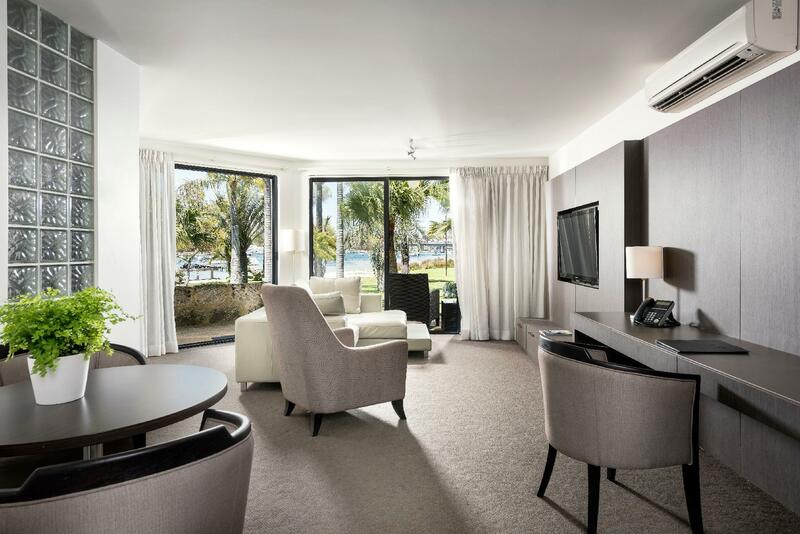 Staff were friendly and helpful and the apartment was clean and had exceptional river views. Balcony was spacious and enjoyable to sit outside on. The only slight negatives are it is abit small for 4 adults and there are no shops within walking distance so if you didn't have a car it might make things a slight hassle. Nice rooms. However, check in was supposed to be at 2pm, but we didnt get to check in til close to 3pm cause our room wasn't ready. .. which is when the wedding started. So not a great start. Aside from that, everything was good. This was a fantastic place to stay given it's location facing the Swan River and the boat harbor. I loved sitting on the patio, sipping wine and watching the boats go in and out. Location is not great if you are walking but if you have a car, it is fine. I would absolutely stay here again. Special mention to the front desk as she was very helpful. We had an amazing time at Pier 21. The room was cosy, the views were glorious, and service was spot on. The hallmark of good service from a hotel is that you don't feel like you need to ask for anything during the stay - that was exactly the case. The front desk was very helpful and parking lots were abundant. We arrive late in the evening (8pm), and did not have the opportunity to utilise any of the facilities at all. Check out time is too early (10am), It would be great if the check out time is slightly later, e.g. 12pm. This was a surprise night for my wife, and I picked her up from work to go to dinner. Had to stop on the way at Pier 21 and she was over the moon. Was a great room and we wandered out to the river on dusk. It was cool but gorgeous. Meanwhile, we had the heat on the air con so when we went back in it was toasty and perfect. Went into Freo for a great Italian meal then retired back at Pier 21 with a bottle of Tia Maria and some chocolate. In the morning, we had breakfast and really didn't want to leave. Room was great, staff were lovely. The whole experience was great. Room was good, if a little small for an apartment. Views are excellent. Road outside is a little dodgy. Breakfast both mornings was really good, and service excellent. "Free WiFi"is a little misleading, with the free part very limited.